Health benefits of ginger have been widely regarded for centuries as a natural remedy for a variety of ailments. Let’s include those uses of ginger and make them extra special by spicing them up with a bit of honey. Ginger is a peculiarly shaped plant which has a knobbly shaped root; this is the part we eat. It doesn’t appear to be very attractive but boy does it have a kick when you bite into a piece. With its sweet bite and woody aroma it’s no wonder centuries ago they were intrigued enough to take a bite from this odd shaped plant. Certainly some may have been put off this taste that set their taste buds tingling, there are not many who are able to chew much of it in one go if their palate is sensitive! However, the cooks of the day still made good use of it in their culinary dishes as it spread its way around the world. Most of us enjoy a curry and without the use of ginger it wouldn’t be half as tasty. I’m always fascinated to learn how the ancient doctors used their herbs and plants, how and who I wonder first realized this ginger root resembled our digestive organs? Whoever it was did a great job probably writing down their findings as they went along handing them down through the centuries even to this very day. Their uses of ginger for healing make perfect sense to us now as even modern research has discovered that under that quite ugly exterior there is a power house of goodness awaiting us. Honey and ginger double the healing benefits when you need them. 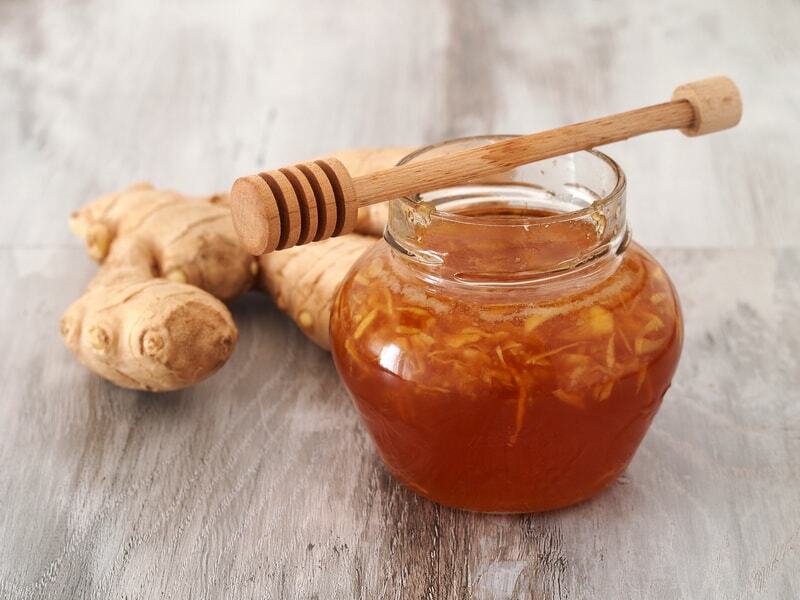 Try grating up a piece of fresh ginger root and infuse it with a great source of honey, this makes a brilliant ginger honey tonic to really perk you up if you’re feeling in need of a boost. I’ve always used raw ginger with raw honey to make a healthy ginger drink and you can do the same which if used on a daily basis is pretty much guaranteed to increase your general well-being. A quick and easy ginger drink in the form of an exceptional tonic using honey and ginger together will ease symptoms of lethargy, soothe sore muscles and have you back on your feet in no time if you’ve been a bit under the weather. Health Benefits of Ginger – Why Honey and Ginger? Our ancient medicine men always knew by experimentation that many plants and herbs such as ginger were very useful in treating and curing all kinds of diseases but probably never worked out why! 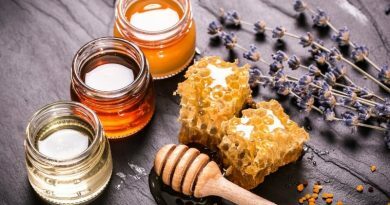 Now we can give lots of thanks to modern medical researchers who have validated the benefits of honey and ginger as both being wonderful anti-inflammatory agents, natural antioxidants, natural antibacterial sources, antifungals, wound healers and even natural anti-cancer agents. Because these superb elements are present in both it really makes good sense to combine them together. Let’s take a look at honey and ginger a bit more in-depth. Health Benefits of Ginger – What Makes Ginger so Good? Ginger health benefits are attributed to what ginger offers in terms of vital key vitamins and minerals. As one of nature’s best sources of magnesium, vitamin B6, copper, potassium and manganese, one of the primary health benefits of ginger is its potent antioxidant properties which are also present in Raw Honey. Because the cells in our bodies rely on oxygen, they also produce free radicals, which can be thought of as oxygen by-products, these are the cause of cell damage in our bodies. Perhaps the best way to imagine this damage is to think of the browning effect that occurs in a sliced apple after a little air exposure, see how quickly the apple slice goes brown. Antioxidants however, work to prevent this damage and to reverse this effect once it has already begun to take place. Without them, serious health issues such as cancer, heart disease and diabetes can occur as a result of oxidation. Nutrition experts are always drumming it in to us that by consuming a minimum of 5 servings of fresh vegetables and fruits daily we can reduce our risk of a stroke by as much as 25 percent. 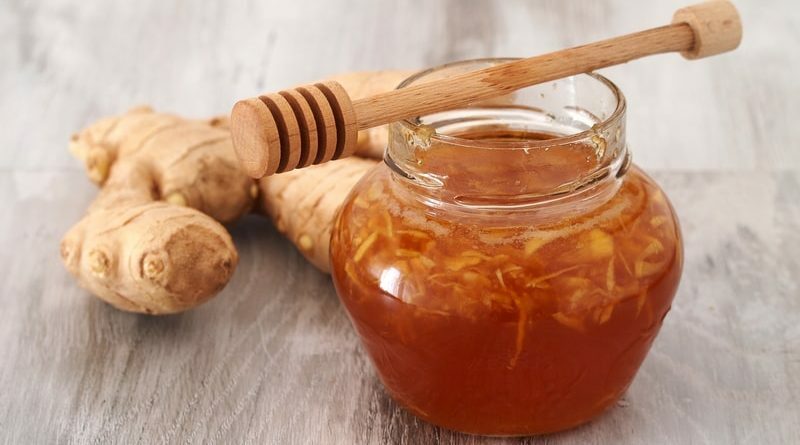 Regular consumption of honey and ginger, with their vital antioxidant contributions can really help to reduce the risk of cancer and many other compromising infections. This can be achieved with a daily cup or two of ginger tea and honey. Ginger Tea Benefits have a way of helping us achieve this and more. It would be wrong of me not to include a warning concerning the health benefits of ginger. These are hugely palatable and very beneficial alternatives for thinning the blood. However, if your own doctor has prescribed aspirin or warfarin for this purpose it is not recommended to eat or drink ginger. Please run this by your doctor first if you are considering your options. As research continues to reveal, the health benefits of ginger are numerous and are not accompanied by the side effects often associated with synthetic drugs and chemicals commonly prescribed for these ailments. As well as ginger being an excellent source of antioxidants, the health benefits of ginger and honey also include them as being superb natural immune boosters. We can all suffer with conditions that make our blood susceptible to clots. Nobody wants a blood clot and what do our doctors prescribe? Nine times out of ten it will be aspirin or warfarin which do help to thin the blood but also can be dangerous if used long term. The uses for ginger, where if used each day either as a tonic or a cup of ginger tea and honey, will help to do the job of keeping a healthy and normal flowing blood supply. This has got to be better than the use of that tablet and this also helps with lessening the chances of suffering a clot which could also mean a stroke or heart attack. Drinking ginger is known to help your blood circulation; this is what helps to keep our hearts pumping healthily and helps with warding off heart disease. 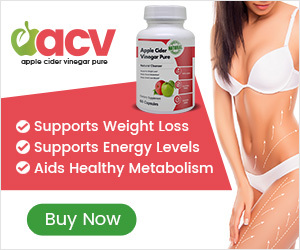 It is really effective in helping to regulate our blood sugar levels and lowering high cholesterol. 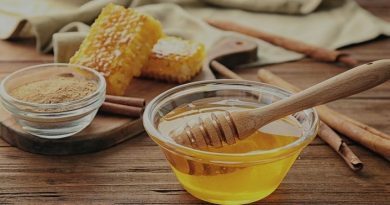 Honey as we all know is a far better choice than any other sweet additive on the market. One of the most effective remedies health benefits of ginger is known for among the many there are, is relieving the symptoms of flu and colds by simply sipping a warm comforting honey and ginger tea. 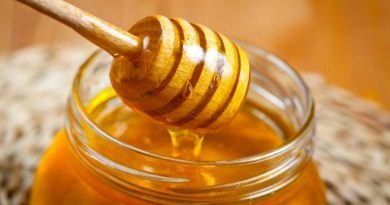 It wasn’t until one of my lovely readers wrote to tell me that by adding garlic to honey and ginger this makes a brilliant remedy for clearing up blocked sinus’s which often occurs as a side effect of the common cold. This is the one almost everyone has heard about; ginger for an upset stomach, especially travel sickness; it is a lovely safe alternative to a tablet or pill. Ginger root heals ailments such as these because fresh ginger root acts as a superb base with other healing herbs which herbal practitioners have used for centuries as complementary supplements. These have survived for centuries and there is bound to be a herbal remedy for all of us, the benefits of ginger present us with a natural, side-effect free opportunity to not only prevent disease but also to help restore normal health. Why ginger root when there are so many other ginger supplements? Just as I and natural herbal practitioners recommend pure raw honey we need the very best ginger too. It is readily available at all times of the year and will stay fresh in the fridge for up to three weeks. If it starts to look a little old and wrinkly then it is past its best before date. Arthritis, now that’s a word none of us wish to be associated with! Ginger root has a reputation for helping to loosen up those stiff joints, I’m determined myself to keep this one at bay and eat my honey and ginger everyday. Have you heard of Gingerols? This is one of the components of ginger which acts as a pain inhibitor. It acts in exactly the same way as the anti-arthritis pills our doctors prescribe. I know which I would rather swallow! The University of Miami experimented on patients who suffered with osteoarthritis in their knees. Patients who were given 255mg of ginger root extract each day showed a remarkable improvement of pain after six weeks. With over 5000 years of history attributed to the health benefits of ginger it would only be the fresh root that would have been used otherwise the benefits would not have been handed down to us for so long. Overall, the benefits of honey and ginger are numerous. Anyone who is searching for relief from any of the above-described ailments is encouraged to investigate their healing qualities further.